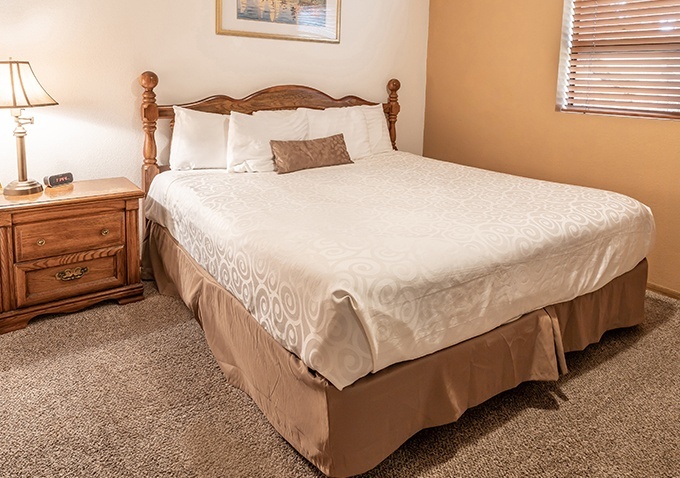 A stay at any one of Gold Beach Inn's spacious, affordable rooms or beach homes offers you the most charming, serene setting you can imagine as you set off to see many of southern Oregon's most famous attractions and natural wonders. 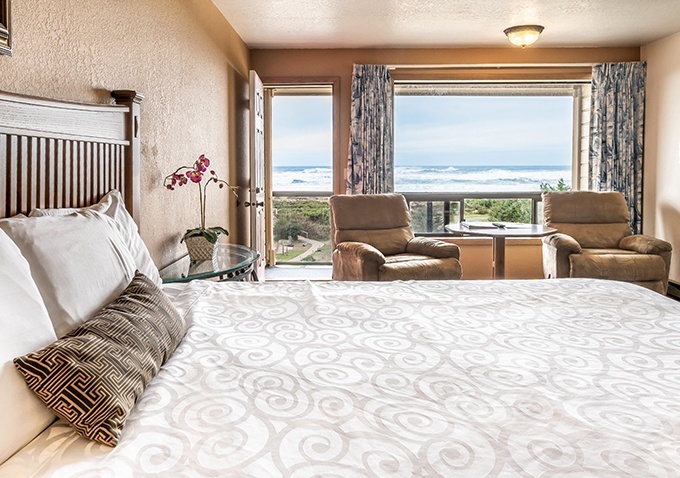 From beach and ocean view rooms with spectacular vistas out to the Pacific, to sleek and modern private Beach Homes with ocean view decks, each Gold Beach Inn room or home is inspired by the beauty of the coast. Enjoy free Wi-Fi, daily housekeeping, deluxe mattresses with triple sheeting, flat panel TVs with premium cable and refrigerators, microwaves or full kitchens. We guarantee you'll wake up ready to explore all that Gold Beach has to offer. Create your special Gold Beach Inn holiday in this comfortable Standard Room that features one or two Queen beds with triple sheeting, a mini refrigerator, microwave, coffee & tea maker, free high speed Wifi and local phone calls, plus complimentary toiletries, a spacious bathroom and either a balcony or patio. Enjoy breakfast in bed in this Ocean View Room with unobstructed views of the Pacific. Featuring one or two queen beds with high-quality triple sheeting, a balcony or patio, mini fridge, microwave and coffee maker, plus free high speed WiFi, complimentary bath toiletries, a flat screen TV with premium cable. 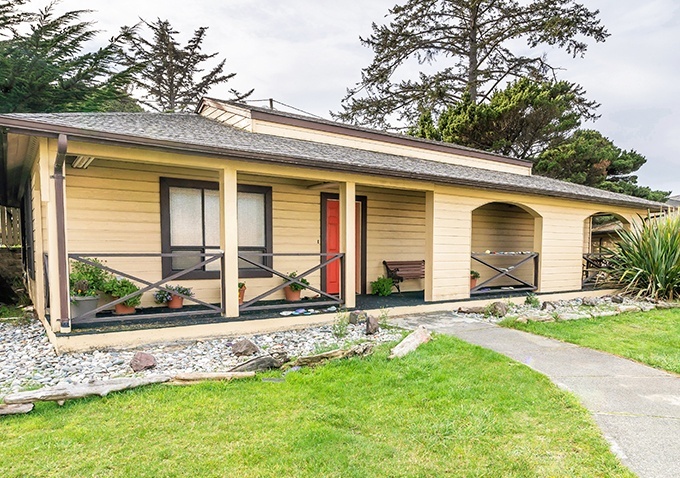 Exclusive to Gold Beach Inn, these affordable Beach View Rooms offer one king or two queen beds with high-quality triple sheeting and are on the first floor with shared balconies or patios, all with amazing views of Gold Beach. They also feature a mini fridge, microwave, free high speed internet, complimentary toiletries and flat panel TVs with premium cable. Book a family holiday in a Gold Beach Inn two or three bedroom private Beach Home with an ocean view deck. Well-equipped yet affordable, they feature two queens and one double bed or three twins, two doubles and one queen or two twins and one queen bed, all with triple sheeting, patios, and full kitchens.